Country walks are so relaxing. All that fresh air and pastoral scenery is good for the soul. They are also rewarding for any photographer. 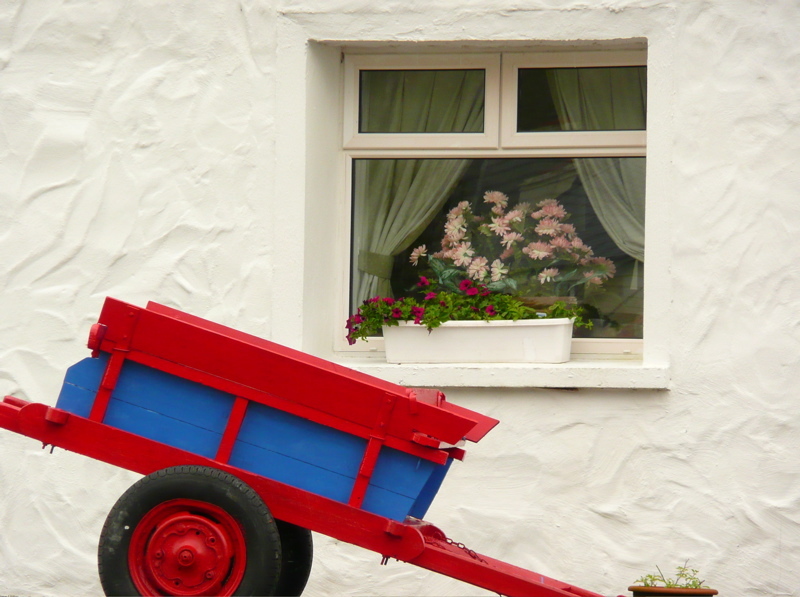 Here is a collection of Donald’s photographs featuring colorful window boxes in rural settings. His sharp eyes spotted wonderful photographic opportunities. 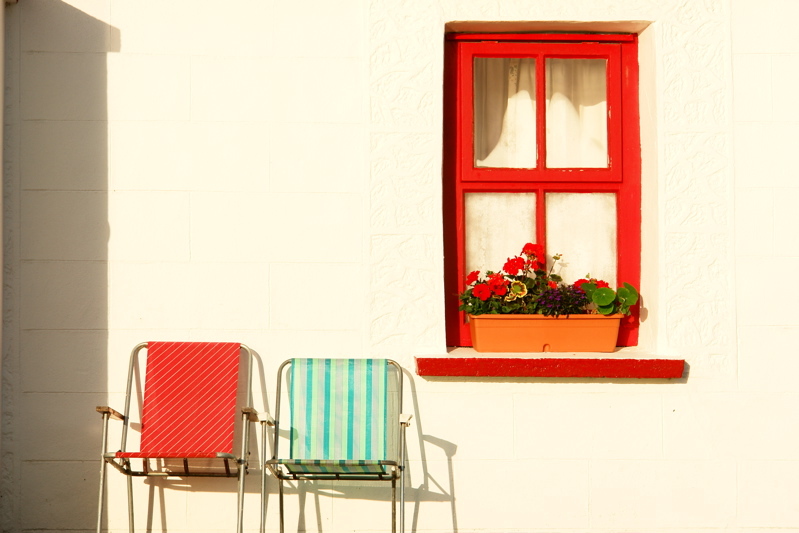 The one above was taken in Ballyvaughn, Ireland, where a pair of folding chairs were just as colorful as the flowers in the window box and the red window itself along a plain white wall. 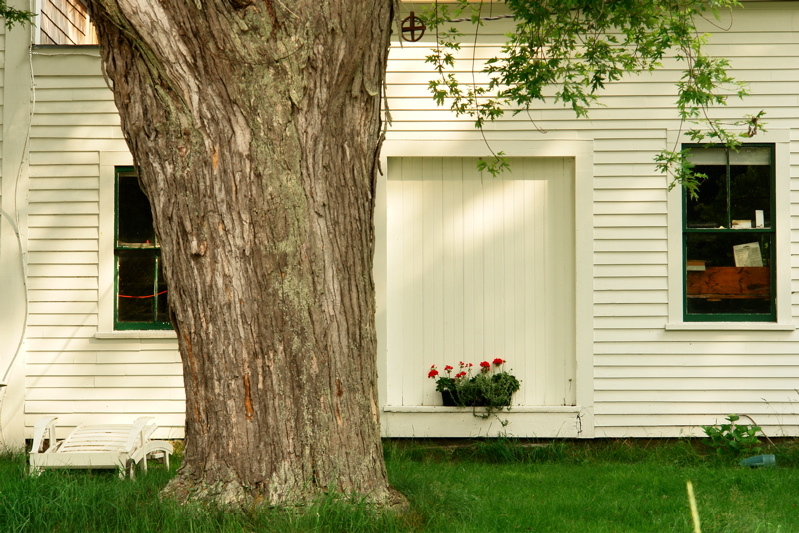 He also liked the contrast of the window box with all the other elements like a huge old tree. Or with the weathered whitewashed wall of a very old building. And what about a colorful cart too? 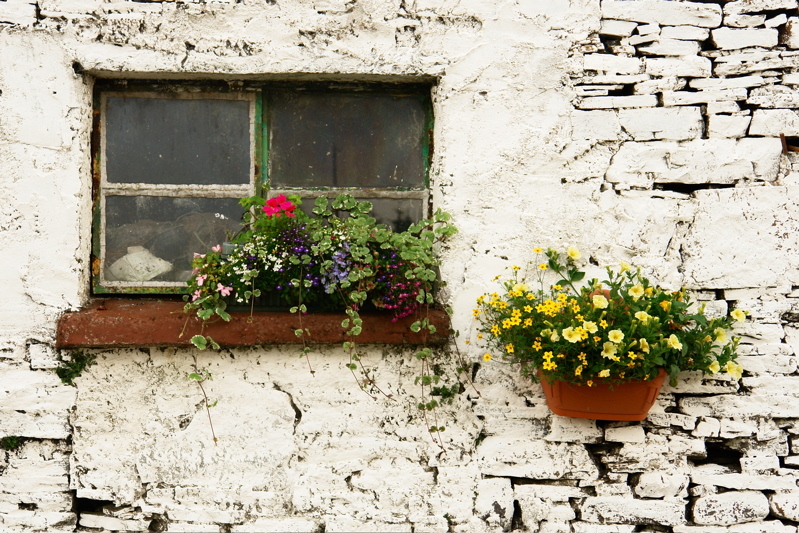 The photographs might just inspire gardeners to plant more window boxes and add interest in their gardens and houses. Perhaps call it a gardening tableau? 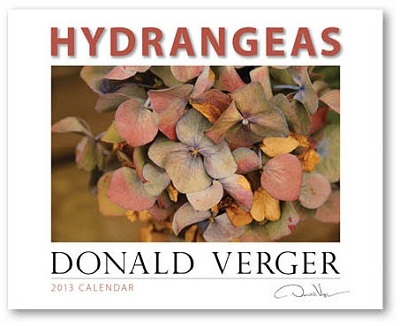 The Hydrangea Calendar is Back in Stock! Donald’s flower calendars are very popular. His hydrangea ones especially so. 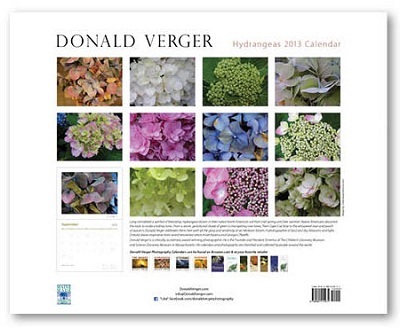 So if you adore flowers, you’ll be pleased to know that the Hydrangeas calendar has been reprinted and is back in stock! It’s on sale too! It features different colored hydrangeas. You don’t have to be a gardener to enjoy it! 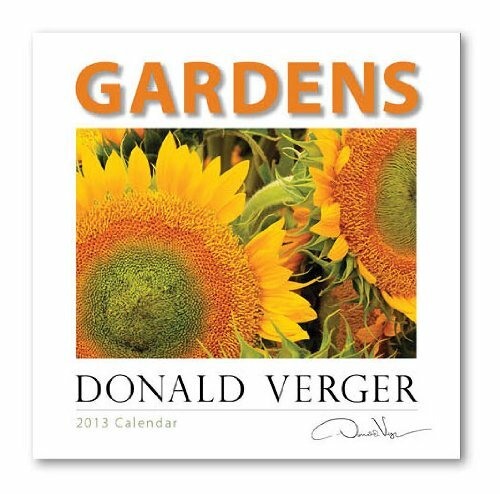 By the way 6 of Donald Verger calendars are now in Amazon’s top 100 calendars out of a field of 12,000! Donald has impeccable timing. Just after we’ve raked the leaves and cleaned up our gardens ready for the winter, he comes out with his new 2013 Gardens Calendar! It is as if he knows just how much die-hard gardeners and nature lovers will be missing the sight of beautiful flowers and trees and shrubs in full leaf. It’s a long, long time to wait before spring comes round again! So the lovely calendar pictures help tide us over until our gardens reawaken. Perhaps even help us plan our plantings ahead? Donald’s photographs show his eye for detail as he zooms in on floral close-ups and yet is able to showcase swathes of flowers. He also captures delightful floral vignettes against different walls. A wonderful calendar for those who love color and Mother Nature’s bounty!